How much of the universe are we looking at? At any given moment, it depends on what we’re trying to do! There are a lot of telescopes currently operating, and where we point those telescopes on is entirely dependent on what science the person using the telescope wants to do. So those telescopes wind up looking all over the place, but mostly for short periods of time. Then there are what’s called “deep fields”, where we point a telescope at one patch of sky for a long time. This allows us to see very faint objects, and lets us get a lot of detail or capture very distant objects. 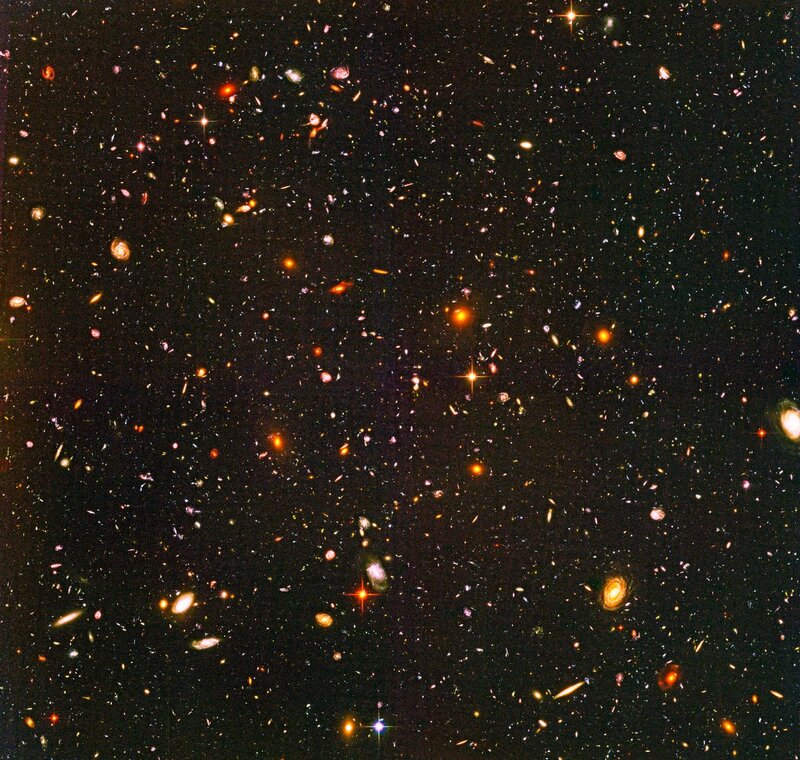 The Hubble Deep Field (and Ultra Deep Field) is probably the most famous of these kinds of observations. But the last kind of observation we can do is an “all sky survey”.This is where we get one telescope to observe every patch of sky available from the location of the telescope. (If the telescope is in space, then that’s ALL the patches of sky - one of many reasons we love space telescopes.) Depending on the telescope we’re using, we get information about a different type of object, so there have been lots of these surveys to look at different colours of light. The most recent of these to hit the news was the Planck satellite. It conducted an all-sky survey to look at the oldest light in the universe, and in the process made a fantastic map of the Milky Way. In fact, most of those edge-on maps of the Milky Way are made through these all-sky surveys. Some surveys want to avoid the Milky Way, so they skip the region of sky where we know the galaxy is, since getting rid of our galaxy when you’re interested in much more distant objects can be a pain. Can we build a wormhole?